EARLIER this week on these pages, Steven McCaffery contended that tackling the legacy of decades of conflict requires a comprehensive effort by both the British and Irish Governments. I agree. The Government of Ireland made a solemn commitment to support and foster a new totality of relationships when it signed the Good Friday Agreement in 1998. We stand by that commitment. Building relationships between divided communities takes time and sustained effort and investment. The recent violent street disturbances are a reminder that the challenge remains to build a society that can accommodate competing and sometimes contradictory notions of identity. We will continue our efforts, but those efforts must support rather than supplant the efforts of the Executive and elected political leaders. Dealing with the legacy of the past and with current contentious issues which are manifestations of that legacy, present challenges that will be at the core of the work of the NI Executive, NI Party Leaders and the NI Assembly for some time to come. We should not underestimate the challenges they face. I know that the First Minister and deputy First Minister and other Party Leaders can point to significant positive markers over the past year which they have achieved. Northern Ireland has painstakingly built a reputation in recent years as a creative and confident place and has reaped some of the benefits of this work with record-breaking numbers visiting Belfast, with Derry’s status as UK City of Culture and with the World Police and Fire Games taking place in Belfast this summer, to list a few visible examples. The Executive deserves great credit for that. Recent localised violence in Northern Ireland has, of course, had a negative impact on all the people of Northern Ireland. It has damaged the economic and social fabric. It is in the interests of all Parties to demonstrate clearly that short term resolutions and longer term reconciliation are best achieved through political engagement. How do we support their work? First, through the closest cooperation with the Northern Ireland Executive. The fact is that the Irish Government has no closer political relationship than with the Northern Ireland Executive. That is reflected in the fact that we have had more meetings with our colleagues in the Northern Ireland Executive over the past year than at any other time since the establishment of the North South Ministerial Council. Second, through ever-deeper partnership with the British Government. Building and strengthening North South relations and East West relations also require commitment and investment on all sides. The Taoiseach and the British Prime Minister have set a new unprecedented and comprehensive framework for British Irish relations deepening and widening work across all government departments. Third, through a respectful approach to commemorations. I launched our programme for the decade of commemorations last year by inviting FM Peter Robinson to Dublin to share his reflections on Irish unionism. When the Taoiseach and I attended remembrance ceremonies in Enniskillen and Belfast in November, we did so not only as a gesture of respect to the unionist tradition, but also in full consciousness that this is a part of our history and identity also. Fourth, through maintaining practical international support for the peace process, especially from the European Union and the United States. And last year, my Department, through its Reconciliation and Anti-Sectarianism Funds, awarded grants to more than 130 organisations which have the potential to transform attitudes within their communities and across communities and to further the cause of reconciliation. So to return to what Steven McCaffery says: tackling the legacy of the decades of conflict requires a continued comprehensive effort by both Governments. And in 2013 the Irish Government will sustain our efforts. The vision of the Good Friday Agreement is for a peaceful and reconciled society. Our commitment to achieving that vision is persistent and unwavering. 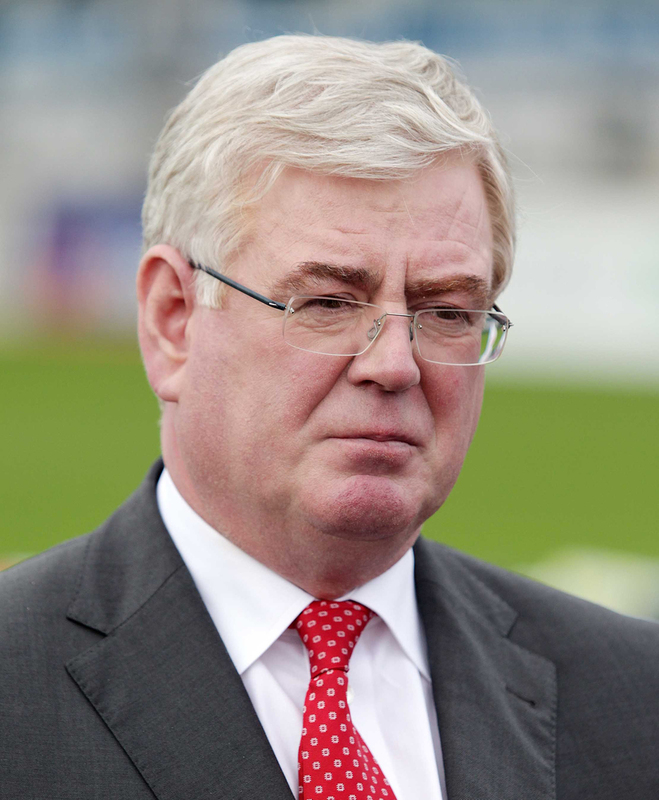 Eamon Gilmore is the Irish Labour Party leader. In the Government of Ireland, he holds the offices of Tánaiste (deputy prime minister) and Minister for Foreign Affairs and Trade.